These are 100 lb. load capacity full-extension with easy close side mount ball bearing drawer slides. 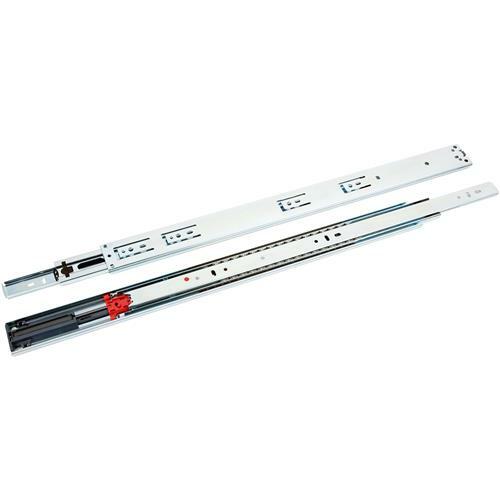 The recommended uses for these ball bearing drawer slides are for medium-duty applications in office and residential furniture. The drawer profile features an easy to operate disconnect finger release trigger.